means of assembly, as riveting was the most used method up to that point. 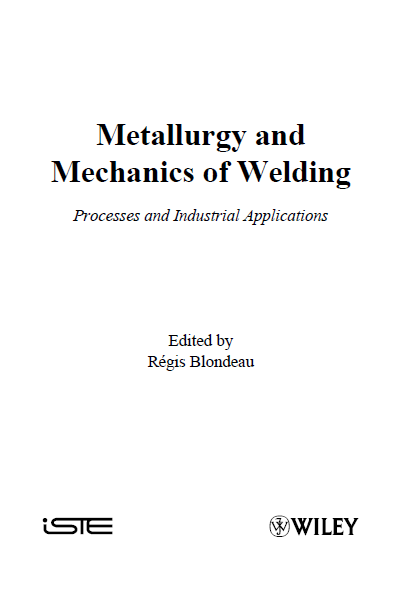 welding and related techniques” published by the “Publications of Autogeneous Welding and the International Council of the French Language” [COL 96]. 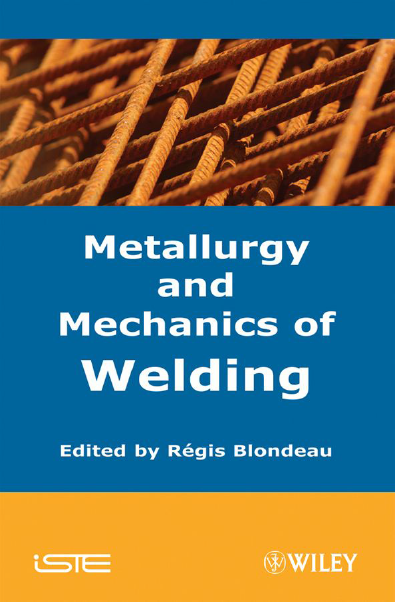 It has been specified in the preface to this book that welding makes it possible to reconstitute metallic continuity between the components to be assembled. This reconstitution involves the re-establishment of the interatomic metal bonding forces which requires at the same time a connection of the nodes of the crystal lattices and the absence of any foreign body likely to constitute a screen. This chapter will successively cover the physical conditions necessary to create the metallic bond and the industrial processes which make it possible to establish this bond. Conditions to create metallic bonding : Creating the metal bond consists, theoretically, of bringing the surfaces to be linked closer so that the surface atoms are at a distance of the order of the inter-nodal distances of their own crystalline system. This operation, which would assume at the beginning that surfaces are chemically clean and in a specular state of polish, is not practically feasible. To mitigate this industrial impossibility, the surfaces to be joined will have to be activated with a view to eliminating the foreign bodies and elements likely to obstruct the creation of the bond. --> the two parts to be assembled undergo a localized fusion and take part in the formation of a captive molten metal core which during its solidification is compacted by the action of an external effort of compression. – chemical elements brought in by the surrounding air. Surface irregularities are likely to disrupt the creation of metallic bonds in all the cases where there is not surface fusion of the parts to be assembled. It will then be necessary to carry out a surface preparation by mechanical means (grinding, machining, etc.). All pollution of surfaces to be assembled will have to be eliminated by mechanical action (sanding, grinding) or by chemical means (solvents, scouring, drying, etc.). 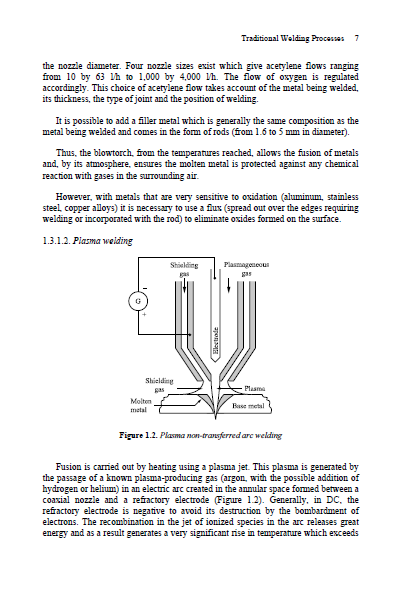 welding without protection against the atmosphere). Protection against oxygen in the air can be ensured by the interposition of a neutral gas, a molten slag or by fixing in the form of oxides by the addition of oxygen hungry elements (silicon especially). In the vicinity of the molten metal, the surface of the parent metal raised to a high temperature can also react with oxygen and be covered with oxides, which is a further justification for using protective means, including at the back of the weld. In this process the welding is carried out by running a metal in fusion (filler) into a mold built around the two faces of the parts to be assembled, placed face to face, at a specified distance. These two faces are often pre-heated with a flame via holes provided in the mold. The molten metal is created on the spot by aluminothermy, i.e. exothermic reaction between oxides (of the metal filler) and powdered aluminum. This operation is carried out in a crucible placed at the top of the mold. As the molten filler is run in, the surface of the parts to be assembled melts, preceding solidification of the assembly. The protection of the molten metal is ensured by the slag which is formed during the aluminothermic reaction. Afterwards, it is necessary to remove the mold and grind the assembled parts, so as to eliminate any excess deposits. is. This force has the aim of ensuring a good electrical contact between the parts to be assembled, thereby confining the molten metal in the zone where it is formed and applying pressure to it after its solidification in order to improve its compactness by avoiding shrinkage (an operation known as spot forging). Generally the electrodes carrying the current apply this effort. These considerations show that they are overlapping assemblies of products of limited thickness. The containment of the molten metal within the joint avoids any contact with the air; the problem of its protection thus does not arise . 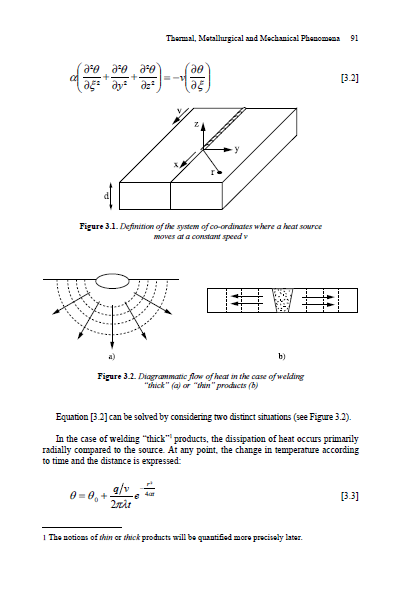 The effectiveness of this process is related to the localization of the zone heated by the Joule effect, which depends on the electric contact resistance between the parts; precautions must be taken so that, on the one hand, other resistances in series in the electric circuit are much lower and that, on the other hand, there is no possibility of the welding current being diverted to one or more parallel circuits. 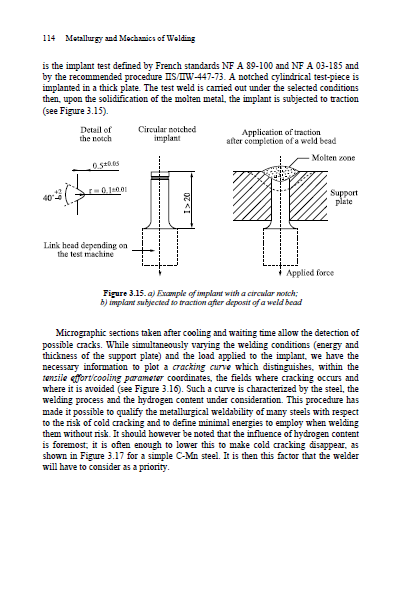 of x-rays and vacuum techniques for the process of electron beam welding and optronics for laser beam welding. The possibility of concentrating these beams on points having a very small surface area led engineers to use this property to melt materials to achieve welds or cuts. Einstein surely did not suspect the technological revolution to which his stimulated emission theory, established in 1917, would give rise. The technological adventure could only really start in 1954 when Professor Townes and his team developed the first stimulated emission amplifier and oscillator, which they baptized “MASER” (Microwave Amplifier by Stimulated Emission of Radiation). This discovery was followed by many others. In 1958, Schawlow and Townes demonstrated the theoretical possibility of producing coherent light by stimulated emission of radiation. The first laser source was a ruby laser produced by Maiman in 1960. It was very quickly followed by the development of the first gas laser by Javan (helium-neon laser). Many mediums were then studied and used for the manufacture of lasers: doped crystals, semiconductors, ionized gases, molecular gases, liquids, dyes. Laser is currently experiencing an extraordinary development. It is used in many spheres of activity. – a resonator cavity made up of two mirrors ensuring photon oscillation. If one of the mirrors is partially reflective, it will allow some of the photons to escape which will constitute the coherent light beam. The laser beam thus obtained will have certain characteristics of divergence, polarization and energy distribution which will define the quality of the laser beam. The observation of many failures in welded structures generally points the finger at fatigue as the main cause. 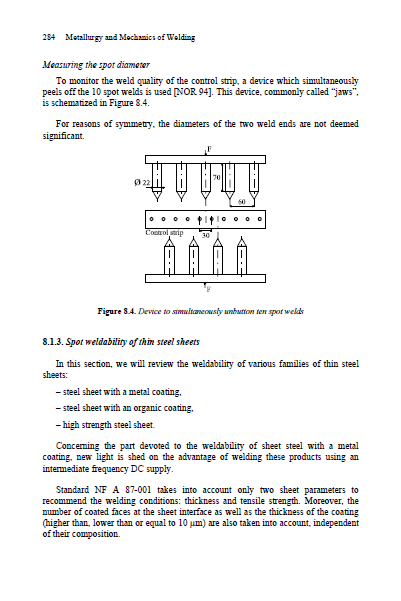 Moreover, it has become apparent that for welded structures, admissible service stresses were very low in respect of the static stresses (yield strength, breaking strength) and that it was not enough to apply a safety coefficient based, for example, on a fraction of the yield strength to be certain of avoiding failure. Indeed, welds can introduce severe stress concentrations and which differ from one structural element to another.